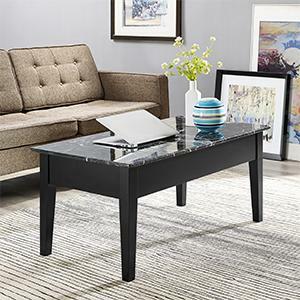 The Faux Marble Lift Top Coffee Table by Dorel Living creates a modern design that will give your living room functional table space and a hidden compartment for items that don't need to be displayed. 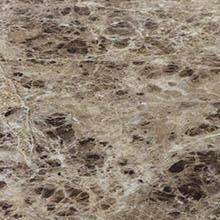 The faux marble surface delivers a beautiful contrast with the rich wood legs giving it a captivating appeal. A glamorous addition to your chic living room, den or family room; this multi-purpose coffee table will surely amp up your decor. 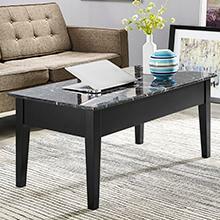 Smartly designed with mechanical hinges, the Faux Marble Lift Top Coffee Table by Dorel Living is the perfect storage solution. 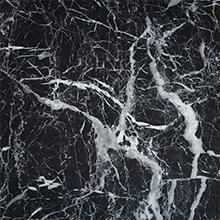 ... with an exquisite black faux marble table top. 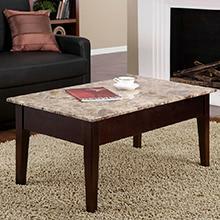 ... with an exquisite beige faux marble table top.